The holiday cottage of "Thorncliffe House" can be found in Darley Dale near Matlock in Derbyshire. This cottage sleeps 8 people, and has 4 bedrooms. The cottage has the following bedrooms: Four bedrooms: 1 x king-size with en-suite walk-in shower, basin and WC, 2 x doubles, 1 x twin zip/link (can be super king-size on request). Bathroom with bath, shower over, basin and WC. Ground floor basin and WC. Kitchen/diner. Utility. Sitting room with woodburning stove. Study. 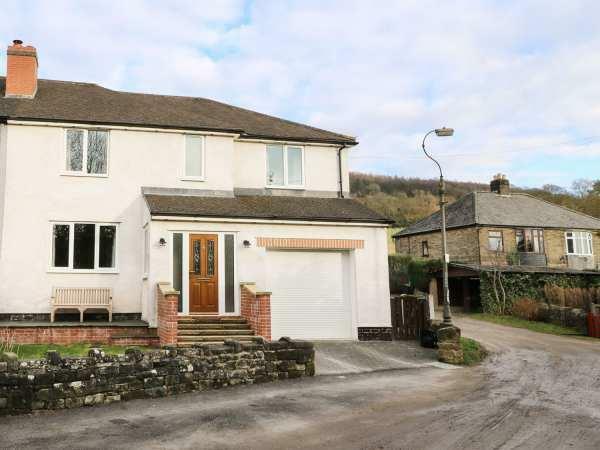 A family sized holiday cottage near Darley Dale near Matlock, Thorncliffe House could be the one for you. These are the reviews for Thorncliffe House. There are 11 reviews. The owner went above and beyond in making this a special holiday for the 8 of us. The house was immaculate and tastefully decorated for Christmas. It was a great space to spend Christmas day. She even left presents for our kids under the tree. The owners obviously take great pride in providing a home from home environment and the house is in a great location too. The road is very quiet and safe for kids. Thanks Kate for a wonderful stay. We stayed in this gorgeous property for a week in October. The property is perfect and we couldn’t fault a thing, the owners have equipped it with everything you could possibly need. A true home from home. 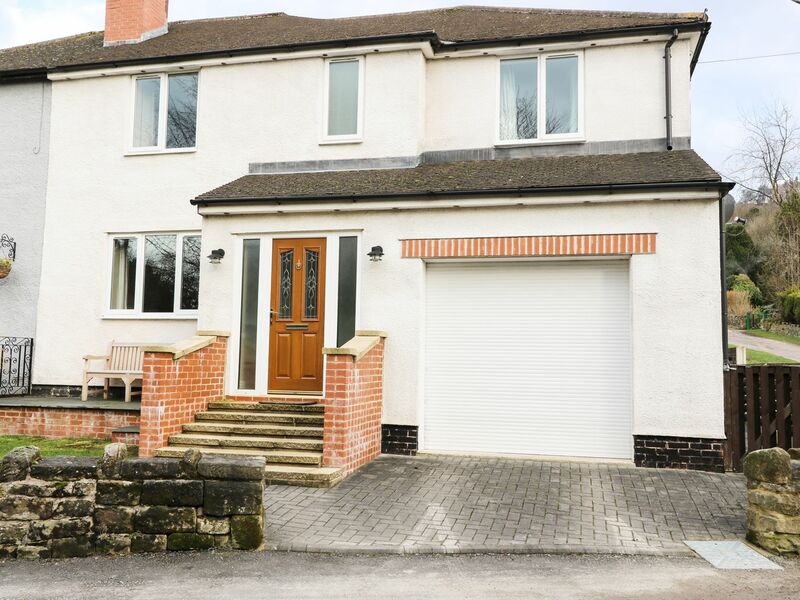 Immaculately clean, comfortable, spacious and a great location for all that the Peak District has to offer. I would have no hesitation in recommending this property to anyone. The owner was welcoming and helpful and the house was very clean. It was as described and a cosy, comfortable place. The kitchen was well equipped and a lovely light space to eat meals around the large table. The location was excellent being between Bakewell, Matlock and about 4 miles or so from Chatsworth. It was perfect for us and we would definitely go back, as there is lots of walking to be done in the area, of which we only had time to scratch the surface. Lovely memorable break. The owners have thought of everything you could possibly need and provided it. I don’t think I have every stayed in a more well equipped holiday home. The house itself is a perfect and fulfilled our expectations and more. So comfortable and a complete home from home. Everything was of great quality and the cleanliness just could not be faulted. You can book with absolute confidence in this place. We were a group of 8 adults did not feel crowded, spotless, had everything you want for a relaxing getaway. Close to a lot of attractions and walks. a weekend was not long enough. Would definitely stay again but for a longer stay. Stayed in this stunning house with daughter and her family (7 in total from 5 to 68 years). Kate the host has thought of everything, house well equipped to a high standard, exceptional decor and far more storage in bedrooms than we've had anywhere in the past, house was spotless. Kate kindly left us flowers wine cake and milk etc. Its in a lovely location, near to Bakewell and Matlock, what a bonus at back of the house was a field with football goals and a little park which were ideal for the children aged 5, 6 and 10. When I booked this 6 months ago we were impressed with the large amount of 5 star reviews with lots of people saying it was one of the best properties they'd stayed in over many years or so which speaks for itself. Highly recommended, you won't be disappointed staying in this property. we were 8 adults and did not feel crowded. We loved our weekend away. Close to many points of interest and walks close by. lovely location. Would definitely stay again. We are always drawn to feedback which says that the properties are clean but they are very rarely spotless and this we find disappointing. However this house IS spotless! We did have one issue, there are two windows in the master bedroom with lightweight curtains. Outside one window is a bright streetlight which is on all night, dispite a notice on the post which says the lamp will go out at midnight but the owner has assured us that she will change the curtain to a blackout one. Would we go back? Yes we would and this is only the second property that we would consider going back to and we have over 45 years of experience in self catering properties and yes we are fussy. The house was brilliant with lots of space in both the living room and kitchen/dining room. The kitchen was stocked with absolutely everything you could ever need in terms of kitchenware. The house was very clean and very nicely furnished. The location is great for accessing the Peak District. The owner was lovely and very helpful. If you're looking for other cottages around Thorncliffe House, we've got some cottages below which may take your liking. There are 182 cottages within 5 miles of Thorncliffe House - and they have reviews too.